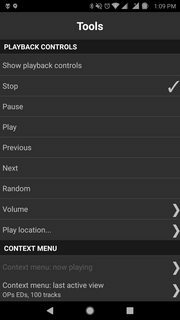 In the current beta version of the android foobar app, it will only load the first 100 items in a playlist. 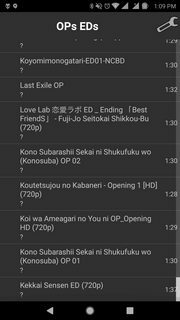 I tested it with another program (VLC) and it would load the entire playlist, and as far as I can remember, the previous version also loaded the entire playlist, so this might be associated with the update to UPnP implementation. Last edited by surasshu; December 5th, 2018 at 03:32 PM. I was experiencing the same problem when using MinimServer for my UPnP. following your suggestion of leaving the beta program in the play store and uninstalling the beta and reinstalling the stable fixed the problem. No worries! I see that a new non-beta version just got posted but I'm not updating until I can confirm that this version doesn't have the 100 track limitation for UPnP playlists. don't, it does have the limit.. any idea how i can revert to the previous version? I'm seeing the same limitation with all the categorized lists generated by my server (Asset UPnP) -- Album, individual alpha-sorted sublists under Album Artist, etc. Files stored on the phone are all listed in full in the corresponding categories. The problem is unique to fb2k on Android: lists from the UPnP server are not truncated in other Android renderers or in fb2k on iOS. Reverting to the build from end of 2018 should do the trick. The only downside is I believe you won't get notified of updates to the program on the play store, but as long as this bug persists you wouldn't want to update anyway, so I reckon it's fine. thank you! installed 1.1.24 and it works like a charm again.